It’s the seventh day of Chinese New Year, which means we can still gain those extra calories without feeling guilty! 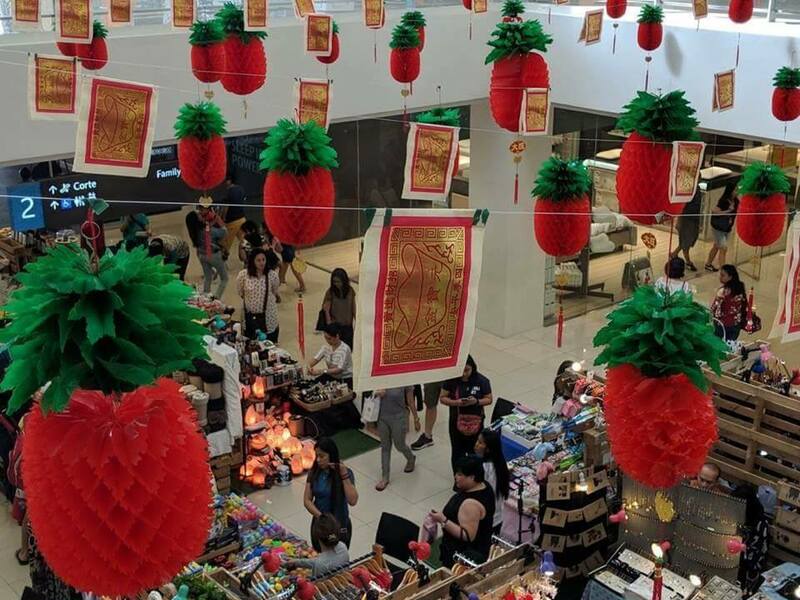 Taking #ootd pictures with dazzling and festive Chinese New Year decorations in places such as shopping malls is a must for us millennials, and it is surely a great time to get that family picture of the year. However, some of the decor at a shopping mall in the Philippines seems to be out of place this festive season. That’s because, along with the decorative red pineapples which symbolises good wealth, luck and prosperity, pieces of poss paper could be seen hung together as well, Mothership reported. Now that, is seriously one odd and bad match up. 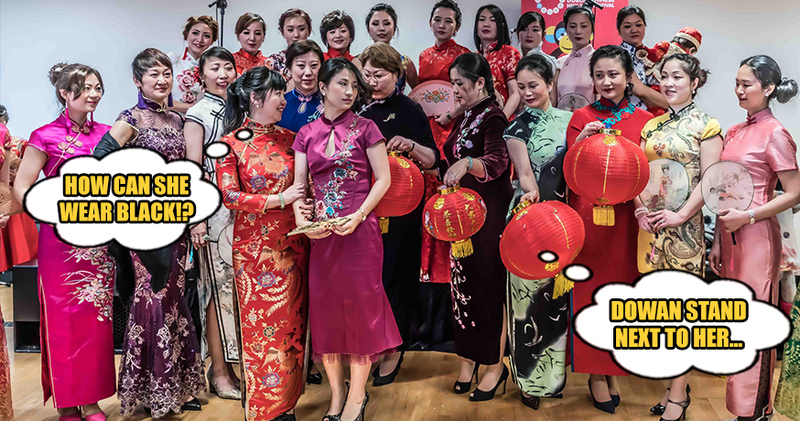 Sure, it may seem alright from afar, considering that gold and red are auspicious colours for the Chinese community. But using this joss paper as decor is something that would land you in hell even quicker. No offense. 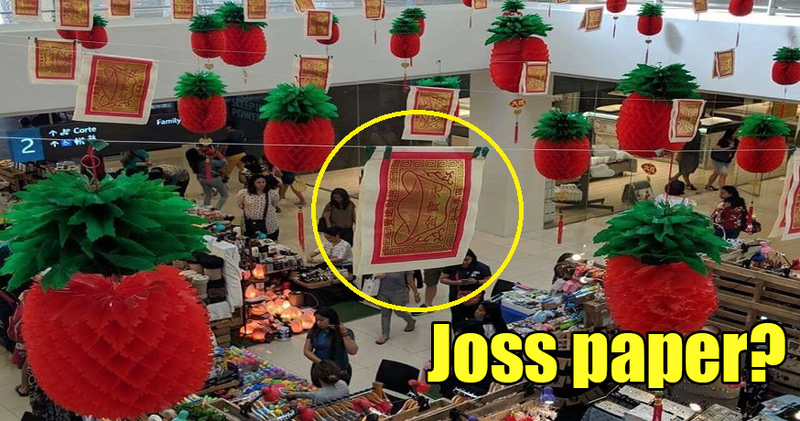 Just in case you are unfamiliar with the traditional Chinese customs, here’s a quick lesson on what these joss papers are all about. Joss paper is an offering burnt during funerals and on certain Chinese festivals. It is a form of currency used by the deceased in the afterlife to resolve financial problems of the believers’ ancestors. So, when you put these two items together, it’s just wrong, absolutely wrong. The pictures of these decor that circulated like wildfire on the Internet instantly attracted the attention of netizens, both Filipinos and abroad. 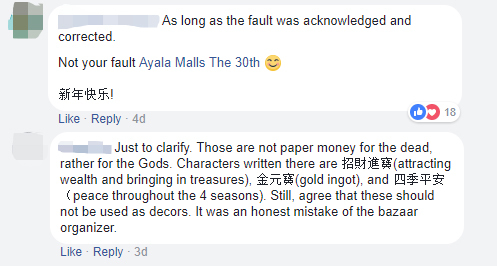 After receiving massive backlash and disapproval from the public, the shopping mall, Ayala Malls The 30th, has since spoken up against the matter. Even so, their apology did not satisfy everyone. Some netizens were still not pleased with the incident. While other netizens were rather cool about it, and even clarified the matter. Well, at least things have been resolved now. So, let bygones be bygones; and let’s continue munching those CNY cookies!